The Falcon 7X Large Jet has been manufactured by Dassault since 2005 and is currently in production. The cabin measures 39.1 feet long by 9.2 feet wide by 7.4 feet tall giving it a total cabin volume of 1552 cubic feet making it comfortable for 12 passengers, with the maximum configuration seating 19. The baggage compartment can hold up to 20.0 bags assuming your average piece of luggage is less than 5 cubic feet. The Falcon 7X has a maximum range (not including headwinds, high altitude, hot temperatures, or higher capacity) of 6732 miles and a maximum speed of 562 mph. Common names and abbreviations: Falcon 7X, DA-7X, 7X, Falcon Jet. The Falcon 7X is a French long range trijet made by Dassault Aviation. Its first release to the public was in 2005 at the Paris Air Show. The 7X is the first jet equipped with a Digital Flight Control System in the world, this technology is used in jet fighters. This digital technology makes the 7X more precise when in comes to handling and also helps reduce the workload of the pilots, as well as making it safer and its lower fuel consumption makes it more reliable. The aircraft has over 200 orders to date. 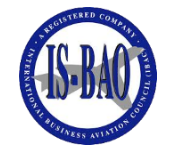 It has received its type certification from both the Federal Aviation Administration (FAA) and European Aviation Safety Agency (EASA) on April 27th, 2007. Liberty Jet uses real-time flight tracking data to locate all available options for your trip. View the map to find the 12 jets of this type available for charter. Click on any of the blue icons to view the last known trip for each jet.